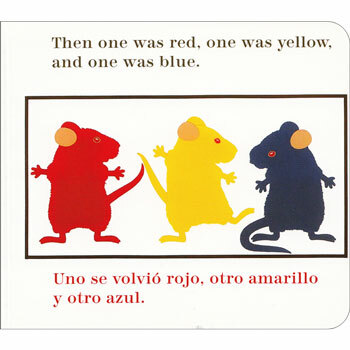 Three little mice discover three jars of paint - red, blue and yellow and have lots of fun mixing the colours. 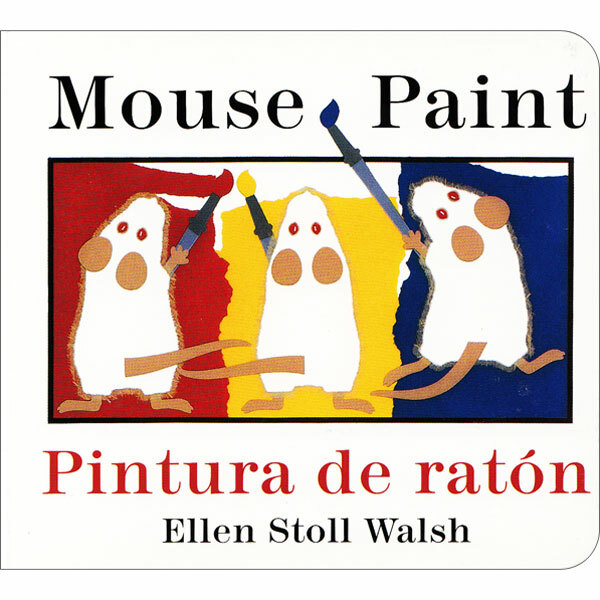 This is delightful story that teaches children about colour-mixing. 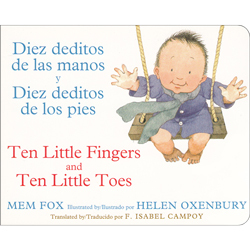 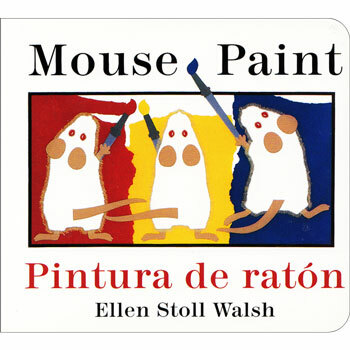 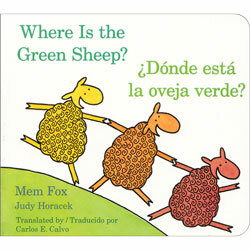 Mouse Paint / Pintura de Ratón features the full text in both English and Spanish and is in board-book format to suit babies and toddlers. 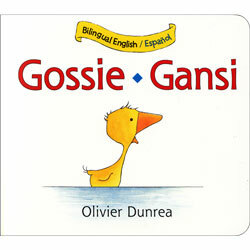 This book is published in the US.